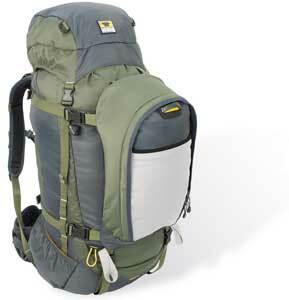 As of 2006, the Dana Design Bomb Pack is being sold as the Marmot Bomb Pack. Max. Load Carried: 110 lbs. Best pack I've ever had for multi-use. I've used it for 10 day mountaineering trips and local overnights. It even climbs well. I've never had a better, more adjustable suspension system and the load bearing is excellent. I did blow out the lid zipper and replaced it with a heavier YKK,but considering the amount of abuse that pack has seen, I have to recommend it for all the reasons that somebody buys a pack. Max. Load Carried: 35 lbs. I found the harness to be comfortable carrying loads up to 35 lbs., but the pack is far too narrow, making access limited and difficult. Also, when the pack is fully loaded the top cover tends to slip and the graphite stays push open the velcro holsters at the top. I also noticed wear in the bottom holsters after only minimal use. If you've been thinking of buying a Dana, think again. Don't! Think twice! It's not alright! I took a gamble and purchased one of the fairly new Bomb Packs made outside of the US. I have only had one problem so far. The Large hipbelt is too big for my 33" waist and the Medium belt is too small. I had to have the Large belt's adjustments modified to fit my waist. It has worked well since the modification. The rest of the pack is great. 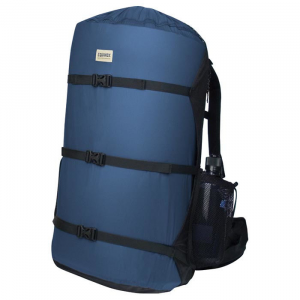 It fits me very comfortably with 30-40lb loads and would probably carry more. I like the removeable shove-it. Its adjustments work well for my tall and lean frame--better than the older Bombpacks which seemed to be too short for me. I like its narrow profile also. I would recommend this pack. However, I do not like the 2003 design changes on the Bombpack and many other Dana packs. They are very "busy" with some of their features and have somewhat of a cheap look to them when viewed in catalogs and gear magazines. It appears that the new designers may have gotten carried away with changes. I think that I am through purchasing new packs from Dana. I am satisfied with my 2002 bombpack, though. I purchased a Bomb Pack five years ago and have been using it as a day pack since. I intend to replace it with a McHale Zero SARC by the end of April 2000. Since purchasing my first McHale pack, I have viewed all other manufacturers' packs with disparagement. In retrospect I find it interesting that I thought the Bomb Pack to be a great pack when I first purchased it. I carried loads varying from 40 to 45 pounds, which felt relatively comfortable to me at the time. I remember feeling some discomfort along my collar bones and shoulders, but I also recall that the pain I felt was less than I had experienced with any other similarly sized pack at that time. The bag of my Bomb Pack is well stitched, all seams are taped, and the details of the fabric are very good. The main bag is comprised of 1000 denier Cordura Plus nylon with a short extension sleeve apparently comprised of two-layer 210 or 200 denier nylon. The attached lid was comprised primarily of 500 denier Cordura Plus nylon. The double layer bottom had an outer layer comprised of 1000 denier Cordura Plus nylon with an inner, differentially cut layer of 420 denier untextured nylon. The fixed lid has a crampon patch manufactured from Hypalon, and there is a Hypalon external flap-pocket. This bag is durable as are all bags in Dana Design's Killer B series packs. The bag had an internal compression strap for stabilizing loads. I found that strap ridiculous for a bag this small and removed (cut) it from the bag. pack's exterior, or you plan to sleep in a cave instead of in a sleeping bag inside a tent. The pack probably would make a good-size climbing pack or ski-patrol pack with one caveat: the pack's frame simply does not control heavy loads. Although I was impressed with the pack when I first purchased it, that was before I owned a McHale product. My standard for backpacks considerably increased since then. What I thought was acceptable load-carrying comfort for 40 pounds five years ago, I will not tolerate for 25 pounds today. The pack carries only a little more comfortably than a rucksack. 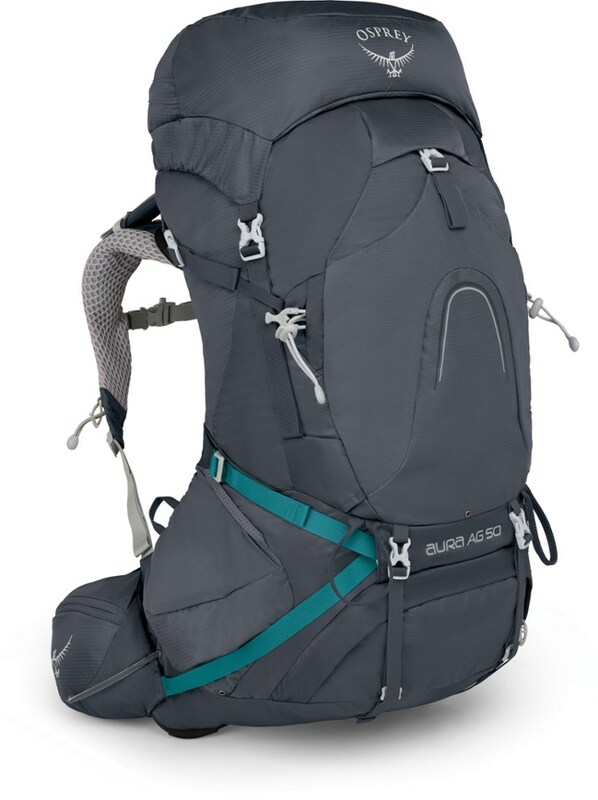 The frame is useless for supporting loads, and the pack stops carrying comfortably when hauling weight in the range of 20 to 25 pounds (combined weight of pack and contents). The single, 6061 series frame stay, HDPE frame sheet, and Hypalon shoulder pad extenders are too weak to control the loads for which the frame components supposedly are designed. The S pattern of the shoulder pads does not impress me. Does the pattern provide more arm clearance when walking than straight pads? Perhaps a little more arm clearance, but because the frame - - Hypalon and HDPE shoulder-pad extenders - - is so weak the "frame" collapses onto your shoulders or clavicles when loads enter the 20-to-25-pound range. Then your body becomes the pack's frame support. What difference does it make that the harness has multiple attachment points or provides slightly more arm clearance when walking if your shoulders are in pain? Twenty-five pounds is not a lot of weight, and there should be no excuse for a pack's inability to provide a pain-free carry with such light loads. The hip belt feels relatively comfortable even though it passes around a portion of the pack's frame. Since I rarely carry more than 35 pounds with the Bomb Pack, squeezing the belt so tightly that I have trouble breathing never was an issue. The pack always remains securely in place without having to over tighten the belt, but I wish to emphasize that I attribute this to the relatively light loads I carry rather than to superior pack construction. I can recommend the Dana Design Bomb Pack as a light-load carrier. If you are comfortable viewing the pack as a rucksack rather than an internal-frame backpack, then I can recommend it highly for any rucksack-related use. 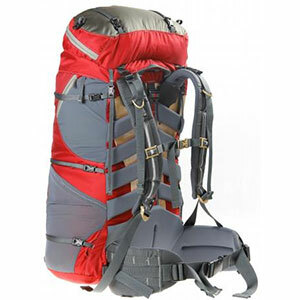 With a comfortable belt and durable bag this pack definitely will endure, but prepare yourself for upper body discomfort if you expect the frame and harness to control any loads above 25 pounds. A wonderful day pack or it could be used for short overnight trips. It's comfortable and the fit is excellent. It is very rugged and holds up well. My only complaint is that I wish it had more external pockets. It does have a flaa flap for a shovel or a piece of rain gear. I have used mine extentensively, and I would recommend it. When looking for our packs we decided to go light on all our trips. The majority of them being overnights in Idaho and Nevada. The Bombpack was just the right size for our needs and had a reputation as a durable pack. We got the last models made in Montana (1997) and have had no trouble at all. I hope the new Mexican made product is delivering the same quality. My wife and I added Dana's medium size side pockets and did five days on the coast of Vancouver Island. The packs held up beautifully under the load and mine even fell almost 500 feet down the side of a bluff completely full. Without busting a stitch, buckle, or tent pole! If reviews show the quality of Dana's new packs to be this good, I'll buy the same thing when this one wears out 10-20 years from now. I got this pack to do a month-long river trip in northern Quebec, and it was great! I carried my 20lb pack with my 85lb canoe on top of it (yup I carry the canoe on top of the pack not my shoulders), and a full 5 gallon water jug in the beavertail shovit on a number of long portages (long being 3-2 milers, and a bunch of 1 milers, and a lot of other shorter ones) and it worked great under that load. When I got it well adjusted there was no pain, a lot of weight, but no pain. 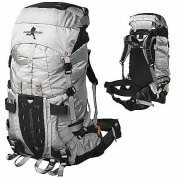 I have also used this pack for shorter hikes where it is great. I was a little worried when I got it because of the whole K2 thing, but it worked out very well, and I am very happy with it. Max. Load Carried: 40-50 lbs. Yup, I paid full price for this pack, but I have to say it was worth it. I bought this pack because I needed a smaller pack for overnighters and traveling on planes. 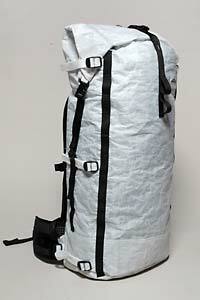 Even with heavy loads this pack is very comfortable and stays in one place. The construction is bombproof and I know I'll have it for a long long time. I like the new hydration pocket, but it sometimes gets in the way of loading stuff. The internal conpression strap does a great job except when you've loaded the pack and you have to pull the strap up from the bottom. The last quirk I have about the pack is that the fabric is all black so it is very hard to see inside the pack. I ordered the new catalog and it looks as though Dana's packs might be going downhill. Fabric looks cheaper, foam shoulder straps, and NOT MADE IN MONTANA: I'm happy that I got one of the older style packs that is great quality. I'm sad to see that Dana fell to lower standards. I guess I'll have to look to Arc'teryx and Gregory now for my backpacking needs. Overall, '97 and older packs are great if you can find one, they will never let you down. I've had this same pack now for at least seven years now and although it does not look that good from all the use, there are no tears nor rips on the pack. Packs been hauling my stuff, and sometimes my heavy camera equipment, thru Europe, in the Malaysian Jungle and in the White Mtns in New Hampshire. Its a great day pack and can manage an overnite if most of the stuff you own is small and compressable. I find the accessory "rib pack" (purchased seperately) to be an indispensable part of the bag. I would like to see side mesh pockets for skis/poles on this bag. The daisy chain on the beaver tail is wonderful and most useful. I purchased this pack after owning a Dana ArcAltitude Flashpoint which is now discontinued, for good reason. The fiberglass wands ripped out the bottom holsters after two days worth of use. The salespeople convinced me to replace it with a bomb. Since that time the Bomb has accompanied me on many climbing trips and spring/summer overnighters without any complaints. When loaded with major poundage it was less comfy, as expected, but held up to the demands of the time. And that is what I expect from a pack, for it to rise to the occasion whatever the situation/weight/weather/etc and thats what you get with the bundle laid down for a Dana. The last word is a repeat I've found in other reviews, getting the adjustments correct, talk to salespeople, use the Dana catalog, experiment and be patient, and this will ensure your full enjoyment of a superior product! This pack is great. I initially bought it to lug my books to and from schoo l(I have a lot of books alright), and thought I might use it a little bit for overnigth trips and such. I took it out recently for a weekend trip and it worked great. I carried all of my gear (stove, H2O pump, etc.) and it sufficiently held that + a change of winter clothes and long johns to sleep in. If you are looking for a mid range pack for overnight trips, this is the pack for you. What more needs be said, it's a Dana Designs pack. Max. Load Carried: 45 lbs. What more needs be said, it's a Dana Designs pack. I own three different Dana packs, and love each one. But the Bomb Pack is my favorite. It works great for backcountry snowboarding. I stick my board in the beaver tail on the way up and then put my snowshoes in on the way down. The pack fits great, always comfortable no matter what load I carry. I've used this pack for both climbing and backcountry skiing carrying all kinds of loads over every conceivable type of terrian. I have had this pack now for three years and the only thing negative that has happened is that my shovel head fell out of the the beavertail flap when I was skiing. The fit and durability are exceptional. Height of Owner: 5' 9"
This pack is GREAT! Since I try to adhere to the 'minimalist' approach to backpacking, this pack has been just about perfect for an overnight trip or even a summer weekend trip. Depending on the length of the trip, I will add one or two Dana Design side pockets to accomodate the extra food/clothes. It is a great winter day pack and ski pack. 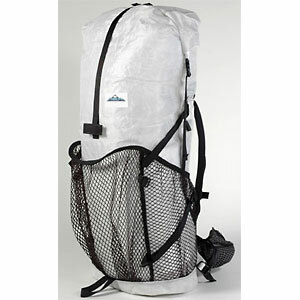 (For anyone that does Tuckerman's Ravine in the spring... this is YOUR pack!!!) The only complaint I have with the pack was that it was extremely difficult to adjust when I initially got it. But now that I have it dialed in, it fits like a glove. In short, I would definitely recommend this pack. The Bomb Pack has been discontinued. The Dana Design Bomb Pack is not available from the stores we monitor. It was last seen November 27, 2007	at GearTrade.